"I selected Kate and her team as my florist for my wedding and I cannot say enough positive things about my experience! Kate was both an expert and a friend when it came to making flower decisions, helping me stay on budget and decor opinions. I needed a lot of help expressing what I wanted and she was patient and always a pleasure to work with providing me with options throughout the entire process. Once we had some ideas nailed down, she created a presentation that helped me envision everything as she had not left out one detail! I always knew flowers were a very important part of any wedding but when my my mother and I saw the finished product on my wedding day, we were filled with the happiest of emotions. Every detail was discussed, planned for and executed with ease. I can truly say that Kate exceeded all expectations from start to finish. 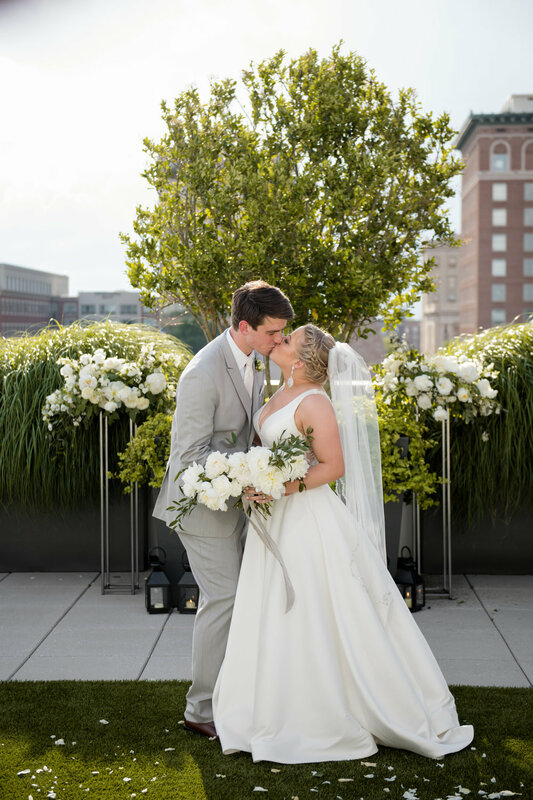 I highly recommend Hudson Stems if you want absolutely gorgeous flowers and a wonderful team to work with!" Every flower was so beautifully arranged and each branch of greenery was gracefully placed, Kate truly helped bring the vision of our spring garden wedding to life!!! I’m still so in love with my bouquet and can’t wait to turn the pressed and dried flowers into a memorable creation. This girl has a natural talent for floral arrangements and I know she will be the next biggest florist in the area! Beautiful and original floral arrangements for a wedding reception! Very unique style and nothing like other florists. Truly amazing!